In this Analysis, Lowy Institute International Security Program Director Rory Medcalf and Nonresident Fellow C. Raja Mohan argue that Chinese assertiveness and uncertainties about America’s role in Indo-Pacific Asia are causing middle powers to look for alternative approaches to regional security. What would the coalitions do? China’s rising assertiveness and uncertainties about America’s response to it are causing middle powers in Indo-Pacific Asia to look beyond traditional approaches to security. India, Australia, Japan and some ASEAN countries are expanding security cooperation with each other. The next step should be the creation of ‘middle power coalitions’: informal arrangements where regional players cooperate with one another on strategic issues, working in self-selecting groups that do not include China or the United States. Areas of cooperation could include security dialogues, intelligence exchanges, military capacity building, technology sharing, agenda setting for regional forums and coordinated diplomatic initiatives to influence both US and Chinese strategic calculations. This would build regional resilience against the vagaries of US-China relations, including against the extremes either of conflict or collusion. It would also reinforce the multipolar quality of the emerging Indo-Pacific order, encouraging leaders due to meet soon, India and Australia are well placed to form the core of this middle power coalition building. Asian countries that until just a few years ago were willing to bet on China’s peaceful rise are now preparing to hedge in the face of China’s increasingly coercive behaviour against Japan, the Philippines and Vietnam. To insulate themselves from the risks of strategic competition or collusion between China and the United States, Asia’s diverse ‘powers in the middle’ – including India, Japan, South Korea, Australia, Indonesia, Vietnam and other ASEAN countries – are adopting a range of strategies. Strikingly, these nations are looking beyond formal regional multilateral institutions, alliance with the United States, and traditional postures of non-alignment to cooperate with each other. Where could and should this lead? Mutual assistance among the Indo-Pacific’s middle players should expand, and should not be limited to bilateral cooperation. A logical extension of this would be the creation of Indo-Pacific ‘middle power coalitions’: informal arrangements where the powers in the middle make it a priority to strengthen and help one another, working in self-selecting groups, or ‘minilateral’ arrangements that do not include China or the United States. Areas of cooperation could include security dialogues, intelligence exchanges, military capacity building, technology sharing, agenda setting for regional forums, and coordinated diplomatic initiatives to influence both US and Chinese strategic calculations. This would build regional resilience against the vagaries of the US-China relationship, including against the extremes either of conflict or collaboration. It would also reinforce the multipolar quality of the emerging Indo-Pacific order, encouraging continued US engagement without unduly provoking China by creating the impression of US-led encirclement. This Lowy Institute Analysis examines the prospects for flexible middle power coalitions in Indo-Pacific Asia. It begins by reviewing the changing security dynamic in Asia and the potential trajectories of the US-China relationship, many of which could harm the interests of the powers in the middle. It explores the rapidly expanding security cooperation among those middle players, and identifies the prospects, problems and priorities for building durable middle power coalitions. It concludes by focusing on two powers, Australia and India, explaining why their growing security relationship could form a core of middle power coalition building in the region. India’s new prime minister Narendra Modi is due to visit Australia in November 2014 for the G20 Summit, and it is expected that Australian prime minister Tony Abbott will visit India before then, probably at the start of September. The next few months thus offer an ideal window for the two leaders to strengthen their countries’ bilateral security cooperation and begin joint efforts towards minilateral cooperation with other regional powers in Asia. After decades of stability under unchallenged US dominance, the Asian strategic order is changing and uncertain. This has been driven by the rise of China as a great power, perceptions of US relative decline, and the ways in which other Asian nations are responding to both. China’s economic growth, its increases in military spending, and the extension of China’s interests and reach across the wider region have been key features of this changing strategic landscape. More recently, the region has seen growing evidence of Beijing’s willingness to challenge aspects of the status quo, notably with regards to maritime claims. Disputes over maritime territory, resource rights, history and nationalism have worsened between China and several neighbours, notably Japan, Vietnam and the Philippines. Security mistrust has persisted also between China and India, including over their contested border, and in light of China’s growing naval presence in the Indian Ocean. In response to these tensions, regional countries are modernising their defence capabilities and, where possible, deepening their ties with the United States. For its part, the United States has moved to reassure allies and partners. Since 2011, the so-called ‘pivot’ or ‘rebalancing’ strategy has involved a mix of diplomatic, military and economic initiatives aimed at shoring up America’s strategic investment in Asia. The pivot is not purely about balancing against China’s growing power in order to reassure allies and deter destabilising actions. Yet that is a substantial part of its intent. Three years on, the pivot remains open to doubts and criticism. The pivot has fallen victim to US defence budget cuts, domestic political paralysis, and misgivings in a growing part of the American public about maintaining their country’s global security leadership. Diplomatically, it has been undermined by uneven US participation in high-level Asian forums. There is little sense of large-scale reinforcement of the US military presence. Existing US military capabilities in Asia are formidable, but stretched. There are also questions about Washington’s appetite for risk. The Pentagon has said it is prepared to “project power in areas in which our access and freedom to operate are challenged”, implying a greater willingness to place forces at risk in Asia than in the past. Yet it is difficult to square this with the nagging sense, fed by US hesitancy over Syria, Iraq and Ukraine, that the Obama Administration would prefer to lead from behind. In these circumstances, many Asian countries are increasingly concerned about the shape of the region’s security future and are considering what they can do. It is clear that the US-China relationship will be at the centre of Asia’s security future. But there are many ways in which relations between the United States and China could evolve. Most do not bode well for the ability of the powers in the middle to protect and advance their interests. A range of possibilities, outlined below, illuminate the challenges and choices they face. Obviously the most devastating − if unlikely − outcome of Asia’s uncertain security future would be a worsening of current tensions leading to a major war between the United States and China. The catalyst for this could be a conflict between China and one of its maritime neighbours – notably US allies Japan or the Philippines – in which the United States becomes militarily involved in support of its ally. Or it could be renewed Taiwan tensions, the chaotic aftermath of regime collapse in North Korea, or a spark or scenario not yet possible to envisage. There would probably be multiple points at which major war could be averted by leaders’-level diplomacy. But there is no guarantee that either diplomacy or economic interdependence could stop conflict from beginning or escalating. The 100th anniversary of the outbreak of the First World War is a reminder that seemingly localised security shocks can have unpredictable and devastating consequences. A US-China war would wreak immense damage on all countries’ interests, even were hostilities to cease well before the nuclear threshold. Another harmful but less catastrophic outcome would be a Cold War between the United States and China. A prolonged era of intense near-war confrontation would likely see Beijing and Washington insisting that smaller powers take sides, militarily, economically and diplomatically. Some observers suggest that the region is already moving in this direction and that the rhetoric at recent security forums has already taken on this tone. Again, were such a situation to eventuate, the interests of the powers in the middle would be subordinated to Chinese and US priorities and risk-taking, even if initially some of them – notably Vietnam and the Philippines – might welcome strong US pushback against China. Other scenarios short of conflict also bode poorly for the interests and freedom of action of the region’s powers in the middle. One is the prospect of a Sino-centric Asian order. Many scholars, and not only in China, have argued that there is something natural about Asia being reorganised around Chinese primacy. If China’s rise and America’s relative decline continue along the present lines, it is not difficult to imagine a regional order eventually dominated by Beijing. The United States would seek to prevent such an outcome, as would many countries in Indo-Pacific Asia, notably Japan, India, South Korea, Indonesia, Vietnam, and Australia, although there are no guarantees they would be successful. Another possibility is the reinforcement of American primacy. This would require a slowdown in economic growth or internal instability in China, or a dramatic revival in America’s economy and political will. It would also need the maintenance of America’s military edge and the strengthening of its traditional alliances and new partnerships. While many of the powers in the middle would welcome the continuation or restoration of the old order, they cannot afford to base their security policies on that uncertain prospect. Their strategic planners have to treat it as a possible outcome, not a probable one. One broad set of possible futures involves some form of accommodation between the United States and China, an approach advocated by some prominent voices in the Australian public debate, notably Hugh White. At the moment, a comprehensive accommodation of China’s interests seems far from a likely choice by a United States stung by Chinese maritime assertiveness and economic espionage. It was not long ago, however, that the first Obama Administration signalled its willingness to look for ways to accommodate at least some of the interests of a rising China, provided it was willing to play by (US-led) international rules. Some in Asia worried that this attempt to offer strategic reassurance to China would be at the expense of their own interests. However, Beijing rejected Washington’s overtures, probably seeing them as a sign of weakness, and soon thereafter proceeded to display a new assertiveness at sea and in diplomatic forums. This weakened the case in America for a strategy based on accommodation with China, and instead pushed US policy in the direction of the pivot. Still, some leading figures in the US strategic community, such as Henry Kissinger, continue to warn that a confrontation with China would be disastrous for America and insist there is no alternative to “cooperation and co-evolution”. For its part, in light of the US pivot to Asia, the new Chinese leadership under Xi Jinping has called for an undefined “new type of great power relationship” between Beijing and Washington. Any Chinese misgivings about an accommodation, in the form of a Sino-American condominium or ‘G-2’, are less about the principle than its terms. Accommodation could take a variety of forms. One possibility is that the two powers agree to spheres of influence. Much like Spain and Portugal agreed not to compete at the dawn of the colonial era, some analysts suggest that the United States and China could demarcate areas of primary interest in which they would not contest each other’s leadership. A more inclusive version of accommodation would see the construction of an Asian ‘concert of powers’, perhaps including China, the United States, Japan and India. Another variant of accommodation is the idea of the United States shifting to an ‘offshore balancing’ role, involving a marked diminution of its military presence and day-to-day diplomatic activism in East Asia. In theory, it would seem normal and acceptable for a rising power’s interests to be accommodated. The realities of the current Indo-Pacific strategic situation, however, mean that an effort at accommodation would bring major risks and uncertainties: accommodation would itself be destabilising. Any form of accommodation between the dominant power, the United States, and the rising challenger, China, would involve Washington ceding additional space and role for Beijing in the management of the regional order. This would have been welcome if Beijing’s neighbours were politically comfortable with China’s rise. Today they are not. For those in Asia with significant concerns about how Beijing might use its growing power, American support or legitimisation of a larger Chinese role would create strategic anxieties. It is difficult to imagine a large and workable Chinese sphere of influence in Asia that did not challenge the interests, security and dignity of other substantial countries, such as Japan, India or Vietnam, and was not accordingly resisted by them. To concede control of the South China Sea as part of a Chinese sphere of influence would be to concede “more than is compatible with the vital interests of other great powers”. Although the concert of powers idea might seem acceptable to Japan and India, it is not clear why China would accept an arrangement where it was outnumbered three to one by the United States, a US ally (Japan), and a strategic competitor (India). Offshore balancing, meanwhile, is prone to the tyranny of geography. If the United States is already cautious about making shows of force against coercion in an Asia where it maintains strategic presence, it is difficult to envisage it returning forcefully to the region in all but a catastrophic scenario – at which point it would lack the capability advantages, such as in maritime surveillance, that only ‘being there’ can provide. A more attractive possibility for the region’s future would be not so much accommodation but incorporation: an increasingly powerful China taking its place as a constructive player in strengthened regional institutions. The region would make some adjustment to China’s growing interests provided that China – and America – accepted that truly inclusive regional organisations became the principal platform for managing security differences. This would involve concessions from both powers to allow inclusive regional bodies like the East Asia Summit (EAS), centred on ASEAN, to have a major say in managing key tensions that touched on those powers’ interests. But this path is presently little more than theoretical: it looks very unlikely. Even the mere construction of such institutions has been bedevilled by competition between the powers. China, having failed to exclude the United States, India and Australia from the EAS, instead tries to stop this institution from addressing sensitive matters such as the South China Sea. As the United States and China redefine their relationship, Asia’s middle powers will be left to navigate this uncertain security future. There is no reason, however, why they should be passive players in this process: they have the potential to influence the evolution of relations between the two giants. But if they are to do this, it is clear that they will need to move beyond their existing approaches to regional security and work much more closely with each other. The idea of middle power diplomacy – typically involving the building of coalitions in multilateral forums – has considerable lineage, especially in Australia and Canada. More recently it has, to varying degrees, been identified as relevant to many countries in Indo-Pacific Asia. It makes sense to understand Australia, South Korea and the more militarily and diplomatically capable Southeast Asian countries – Indonesia, Vietnam, Malaysia, Singapore – as middle powers. Even Japan  and India  can plausibly be defined as middle powers for the time being, given their internal challenges and the limits of their capacity to shape the strategic environment unilaterally. At the moment, Asia’s middle powers pursue three main types of broad security strategy. Some have made the alliance with the United States the cornerstone of their approach. Others have put their faith in multilateral or regional approaches; others in various forms of non-alignment. The utility of each of these approaches is likely to be tested by the evolving security future of Asia. China’s rising power is testing American alliances. Thanks to the rapid advances in its military capabilities, Beijing is probing the durability of American strategic primacy in the Western Pacific. Although the United States is a bigger military power in global terms, and its technological edge will likely endure for many years, Beijing has begun to alter the regional military balance. If Chinese force modernisation continues apace it will eventually tilt the US-China bilateral military balance in the Western Pacific in Beijing’s favour. This will undermine the credibility of US alliances and more broadly raise doubts about Washington’s ability to forestall Chinese pre-eminence in Asia. China’s neighbours see a US policy establishment divided on the question of coping with Beijing’s rise. Despite Washington’s assurances, many Asian nations worry about the constancy of American purpose in Asia. For example, the Obama Administration has moved from seeking a degree of accommodation with China to announcing a high-profile pivot to Asia and then a seeming de-emphasis of the rebalance strategy – all in the past six years. Asians also worry about the combination of America’s continuing preoccupation with the Middle East, the breakdown of post-Cold War understandings with Russia, hints of renewed isolationism and an increasingly dysfunctional domestic polity in Washington. All of this will make the United States a less predictable variable in the Asian power calculus. This in turn means that Asia will not only have to hedge against China’s rise but also against prospects of America’s relative decline and inattention. Against this backdrop, both the United States and its allies are looking to diversify their security partnerships. For decades the United States had relied on formal bilateral alliances and special relationships in Asia. Now Washington is broadening the base in multiple ways. Even as it strengthens traditional alliances (Australia, Japan, South Korea, Philippines, Thailand) and long-standing partnerships (Singapore), Washington is seeking to deepen defence relationships with India, Indonesia, Malaysia and Vietnam. Washington is also encouraging its allies to work with each other. Since the middle of the last decade, when Japan announced the launch of a strategic partnership with India, security cooperation between the two has grown to cover a range of activities including regular military exercises and combined ‘2+2’ talks among senior foreign and defence ministry officials. The two sides are also exploring industrial collaboration, beginning with transfer and production in India of a Japanese amphibious aircraft. While progress will necessarily be slow, thanks to cautious bureaucracies in both capitals, there appears to be a rare alignment of political stars with the return of Shinzo Abe as Japan’s prime minister and the 2014 election of Narendra Modi with a strong mandate. In the last few years, Japan has also devoted special attention to developing defence and security cooperation with Southeast Asian countries, notably Vietnam and the Philippines. Japan has also stepped up its activism in the various ASEAN forums. Another US ally, South Korea, has traditionally focused on its alliance with the United States and the security threats from the North, yet it too has made defence cooperation a major priority for its engagement with other countries in Asia. Although Seoul’s current relations with Tokyo are strained, it has expanded its defence diplomacy with Australia, India and some Southeast Asian countries, notably Indonesia, and is seeking to combine this with defence technology links. No US ally sees its new regional partnerships as a substitute for an alliance with America but rather as a useful complement. In fact, America’s own quest to build new defence partnerships in the region has made it easier for allies to do the same. This widening of the network of defence cooperation has also included trilateral arrangements. Notable among these are the Australia-US-Japan trilateral security dialogue – which has translated into military exercises and the building of interoperability – and a more modest India-Japan-US trilateral dialogue, as well as the frequent involvement of Japanese warships in India-US ‘Malabar’ exercises. Those regional middle powers that have placed their faith in multilateral or regional mechanisms to provide for their security are also being forced to look beyond such approaches by the strategic changes underway in Asia. Indonesia’s experience with ASEAN is a case in point. It has long been a point of faith for ASEAN to mitigate great power tensions in Asia by drawing all powers into a cooperative security mechanism under its aegis. The reality is that the very construction of regional institutions has fallen prey to conflicts between regional powers. The 2005 formation of the East Asia Summit centred on ASEAN, underlines this. China first pushed for an EAS based on the ASEAN+3 process that excluded India, Australia and the United States. Most of ASEAN preferred to ensure that those countries, plus Russia, were present in the EAS to broaden the playing field and dilute Chinese influence. Thus, since then, Beijing’s emphasis has been on limiting the scope of the EAS and refusing to let it touch China’s pursuit of its interests, trying to block it from discussing the South China Sea. Neither the older institutions like the ASEAN Regional Forum (foreign ministers level) nor the newer ones like the ASEAN Defence Ministers Meeting Plus (which brings together the defence ministers of the EAS member states) are likely to be effective in coping with the historic redistribution of power in Asia. Their focus on soft security issues only underlines an inability to address real problems. Beijing has also shown the ability to use proxies such as Cambodia to break ASEAN unity on issues involving disputes between its member states and China. There have been suggestions from Beijing of a “new Asian security concept” that somehow downplays the current regional institutions and seeks an end to US alliances in the region. Speaking at a hitherto little-known forum called the Conference on Confidence Building and Interaction (CICA), Chinese president Xi Jinping declared that Beijing would build it up as the main multilateral security body for the region. The implication was that China would marginalise the EAS and other ASEAN-centric institutions, even though CICA does not include Japan, Indonesia and the Philippines, among others, as full members. The changing regional scenario is also encouraging Asia’s non-aligned countries to discard their traditional military isolationism and expand security cooperation with their fellow Asian countries and the United States. During the Cold War, both the United States and the Soviet Union were distant powers. It was relatively easy to stake out a neutral or non-aligned position between them. Dealing with US-China rivalry poses more difficult challenges for the large non-aligned countries in the region such as India and Indonesia. That China is an Asian power gives Beijing the advantage of emphasising inherited regional traditions of Asian solidarity and opposition to Western dominance, appealing to sections of some Asian political elites. Yet this card has its limits. The slogan ‘Asia for Asians’ has less appeal now that many of China’s neighbours see a threat to their interests emanating from China rather than from former colonial powers. Those countries facing territorial claims from China – Japan, the Philippines, Vietnam and India – have no difficulty seeing through Beijing’s recent rhetoric about a new framework for Asian security. The governments of Japan, the Philippines and Vietnam have become increasingly explicit in warning about the risks they see in Chinese power. In most other regional countries however, especially those with traditions of non-alignment, there remains a reluctance to be forthright about such questions, amid significant domestic opposition to any arrangement that would look like an alliance with Washington to balance Beijing. That said, expanding defence cooperation with America short of a formal alliance has become an important objective of states such as India, Indonesia, Vietnam, Malaysia and Singapore. These countries are conscious, however, that they cannot rely on the United States alone to guarantee their security. Expanding defence cooperation with other regional powers has, therefore, become a major feature of regional security politics. India, which limited its defence engagement with even closest partners such as the Soviet Union in the Cold War, has significantly expanded defence partnerships with a range of countries over the last decade and more. The rise of China and its growing military profile in the Subcontinent and the Indian Ocean have intensified India’s quest to consolidate its traditional security partnerships in the region as well as build new ones. If India’s new defence diplomacy has little resemblance to the past politics of non-alignment, the situation is similar with other countries like Vietnam, Indonesia and Myanmar, which are all discarding postcolonial military isolationism. So far these moves by Asian middle powers to look beyond their traditional approaches to security have been fairly tentative, limited to bilateral or at best trilateral arrangements. Middle powers are looking to one another and sensing the possibility of safety in numbers. So what might be their next move? A logical next step would be to begin building flexible middle power coalitions, to explore ways of harnessing the convergent interests and substantial capabilities of India, Australia, Japan, Indonesia and other nations in between. Of course, the suggestion of a new coalition would immediately raise questions about whether Asia needs yet another security arrangement to add to its alphabet soup of underperforming organisations and initiatives. Talk of a middle power coalition would also raise questions about whether and why it should be an exclusive bloc: who is in, who is out? Moreover, certain middle powers would be more comfortable working with some than with others. So instead of a formal arrangement or a single all-encompassing initiative, the aim should be for regional powers to build on their recent bilateral achievements in security diplomacy and to move towards multiple defence cooperation arrangements involving three or more powers. The idea is not to seek a single new forum that will replace either the alliances or the current ASEAN-led institutions. Rather, the model should be an array of overlapping coalitions that seek to improve the national security of their members through flexible partnerships defined by geography, capabilities, interests or shared functional objectives. These would be loose, self-selected ‘minilateral’ arrangements of capable middle players. Importantly, they would include neither China nor the United States. These coalitions would not of themselves resolve the region’s security dilemmas, but could be a valuable instrument to help participating countries advance and protect their interests while coping with change. They would provide an extra measure of insurance against some of the chief risks in the US-China relationship: potential US-China confrontation or conflict, Chinese hegemony, or an accommodation between Washington and Beijing at the expense of the rest of the region. Provided they were shaped intelligently, middle power coalitions could build regional resilience and insulation against the vagaries of the US-China relationship, without unduly provoking China or undermining US engagement. It should be acknowledged that, initially at least, the United States would be more likely than China to see these developments as favourable to its interests. After all, the United States has encouraged greater regional security cooperation among its allies and non-aligned Asian partners. China is likely to be more suspicious, perhaps seeing such coalitions as an extension of US strategy rather than what they principally would be: prudent mutual help among regional states seeking to increase their ability to provide for their own and common security. This problem of perception is not a reason to abstain from careful coalition building; rather, it is a risk that regional powers can manage. One way to address Chinese suspicions would be for these coalitions to present shared views to both Beijing and Washington on ways to reduce or manage security differences. At the same time, the coalitions could produce ready-made groupings of countries to engage with China in multilateral security activities, such as providing counter-piracy, search and rescue, and other public goods. Moreover, such coalitions could not be dismissed by China as ‘containment’, especially if they are not led by the United States. In this sense, middle power coalitions that do not include Washington could also help neutralise attitudes of reflexive anti-Americanism or Chinese-cultivated pan-Asianism within some regional countries. Arguing for middle power coalitions is not the same as arguing for formal alliances among middle powers. It remains unrealistic at this stage to envisage coalition members taking on great strategic risk themselves to directly assist one another in a confrontation or conflict, such as a clash with China, in the absence of a lead role from the United States. For instance, it is difficult to imagine India being willing to assist Japan with military force were it to find itself at war with China over disputed islands, given that India has its own border tensions and economic ties with China to worry about. For the foreseeable future, a coalition would be highly unlikely to have the political solidarity or resolve to balance against Chinese power in a conflict without the support of the United States. And even if such resolve could be found, the combined material capacities of a combination of regional powers minus the United States – say Japan and India plus several others – would not be a match for China. So far, the efforts of Indo-Pacific middle powers to build security relations with one another have been modest and bilateral, or managed in three-way partnerships involving the United States. A shift towards middle power coalitions, however informal, would be a step change. What, conceivably and realistically, could middle power coalitions do? Here are some possibilities. Political consultations: This would occur first, including at leaders’ level. Much of the current generation of regional leaders, notably three conservative leaders, Indian prime minister Narendra Modi, Japanese prime minister Shinzo Abe, and Australia prime minister Tony Abbott, have sufficient power domestically to be able to drive and sustain bold new foreign policy departures. They would be in a position to direct their diplomatic and defence establishments towards serious cooperation. Diplomatic coordination: Next would come closer coordination by officials on emerging regional issues. An emphasis by these coalitions on the peaceful resolution of territorial disputes, respect for the Law of the Sea, and the right to secure freedom of navigation would help press ASEAN to be bolder and push the United States to remain purposeful against Chinese maritime assertiveness. At the same time, united diplomatic fronts by middle powers could help moderate China’s behaviour by making it clear to Beijing – and domestic audiences in China – that their efforts reflect the will of the region rather than some American design. Visible diplomatic cooperation among Asian middle powers would counter Beijing’s ‘Asia for Asians’ stratagem. The coordination activities could be expanded to include the creation of caucuses in regional and global meetings, from the East Asia Summit and other ASEAN-centric bodies to the G20 and United Nations forums, to mobilise on an issue-by-issue basis. Intelligence exchanges: Given the vastness of the Indo-Pacific region, few if any regional intelligence establishments have a complete picture of its rapidly evolving geopolitical dynamics. Of special importance would be the exchange of military intelligence, especially in the maritime domain. Generating shared maritime domain awareness should be a major priority. This could begin in sub-regions, for instance India- Australia-Indonesia maritime surveillance cooperation in their contiguous waters of the north-eastern Indian Ocean, encompassing critical sea lanes. There may even be scope in time for some of the middle powers to share their intelligence-gathering capabilities or facilities, although this would need to factor in sensitivities about sharing of intelligence provided to some of these partners by the United States. Still, no one state – including the United States – is in a position to monitor the vast Indo-Pacific littoral alone. So new cooperative endeavours in this field are worth exploring, and these could also help allay mistrust on intelligence issues among some middle powers, such as Australia and Indonesia. Military exercises: India, Japan, Australia, Indonesia and Singapore already conduct a wide array of bilateral exercises with one another and other partners, from disaster relief through to some instances of high-end operational training. These could expand, both in scope and participation, as a step towards operational cooperation. These could be focused around the provision of regional ‘public goods’ through cooperation on counter-piracy activities, disaster relief, counter-terrorism, search and rescue, and the prevention of illegal activities at sea. India, Japan and Australia already participate in international peace and stability operations of various kinds. The three countries could do more to share their experiences and create an institutional framework for future cooperation in such operations. These three maritime powers could form an effective core for engaging with other partners on a case-by-case basis, including China as its navy becomes more active in the Indian Ocean. Interoperability: As India encounters the projection of Chinese naval power, it will likely become more open to developing interoperability with partners, a concept it has traditionally resisted. If Indian wariness of working closely with the US Navy continues, it may be politically easier for it instead to build coalitions with such powers as Australia, Japan, Vietnam and Indonesia. India and its coalition partners could pursue agreements for logistical cooperation, replenishment access to each other’s bases and island territories, and status of forces agreements that might better prepare all participants to respond to emerging maritime challenges. There are precedents. Despite India’s strategic autonomy, Singapore for example has had access to Indian military facilities for over a decade. Technology sharing and transfer: This might include the coordinated acquisition, production or maintenance of some military systems. Given the complexities of weapons procurement and development in each Indo-Pacific middle player – with India the most glaring example – this may seem unrealistically ambitious. But signs of change are evident. For example, India, Australia and Japan are all acquiring P-8 long-range maritime surveillance aircraft. India, which has long experience in operating Kilo Class submarines, is helping Vietnam to manage its acquisition of the same from Russia. India is negotiating the purchase and coproduction of US-2 amphibious aircraft from Japan. Canberra is reportedly showing an interest in Japanese submarine technology, and eventual Indian interest in this is also conceivable. In the short term, multi-nation collaboration on patrol boat production and purchases would be feasible, and partnerships in sonar technology development are another prospect worth investigating. The improving quality of defence production in Asia, particularly in Japan and South Korea, and those countries’ increased interest in export potential provide a reason for partner states to consider diversifying beyond established European and US industry links. This dynamic will intensify with the expanding role of the private sector in India’s defence industry, which is already well underway in shipbuilding. Capacity building: Several of the proposed Indo-Pacific partners, notably Australia, India and Japan, have assisted other countries in the region improve their security capabilities, from maritime forces to counter-terrorism. Greater coordination of this work could reduce duplication and help states such as Indonesia, Vietnam and the Philippines improve their capacity to provide for their own security and become security providers in turn. Such capacity building could include training or the transfer of capabilities, such as a recent deal for Japan to provide patrol boats to Vietnam. Just as multiple middle power coalitions are possible in Asia, there are many ways for the process to begin. Multi-nation processes are difficult to mobilise, so a simple starting-point would involve growing from a successful bilateral process. One promising option would be to build upon the strategic partnership between India and Australia that has developed in recent years. These two countries may seem an unlikely couple: two democracies very different in economic development, population and diplomatic traditions. Yet Delhi and Canberra have drawn much closer together over the past decade as their strategic interests have converged around issues like maritime security, counter-terrorism and a regional order not dominated by any one power. As far back as 2001, these two nations were officially recognising each other as pillars of stability in a challenging region. They have overcome a Cold War history of mistrust and mutual indifference, surmounted differences over uranium exports, built economic and societal links, and are now poised for a deeper defence relationship including regular bilateral naval exercises and high-level dialogue. Together Australia and India could draw on their distinct and complementary strengths to initiate the construction of multiple, overlapping minilateral arrangements. They could be the Indo-Pacific core, not so much of one formal coalition, but of several flexible coalitions. These two powers have their own substantial capabilities, the benefits of their strategic geography, and most importantly the potential to engage and mobilise a wide range of partners between them: a mix of US allies and notionally non-aligned states. In all of this, India and Australia would be seeking to engage other regional states as equals, rather than insisting that others accept their formal ‘leadership’. They would be leaders only in the sense of being well positioned to get the coalition process underway. Between them, India and Australia would stand a good chance of involving Indonesia in a three-way security dialogue, and perhaps eventually a maritime surveillance regime focused on the approaches to the strategically vital Malacca, Sunda, Lombok and Makassar straits. India could use its ties with Vietnam, and Australia its long-standing defence links with Singapore and Malaysia, to encourage those states towards a more region-wide approach to security cooperation. Australia could for instance encourage the long-standing Five Power Defence Arrangements (involving Singapore, Malaysia, Britain and New Zealand) to work more closely with India or other regional states in exercises and training. Delhi and Canberra already have promising bilateral links with Japan and South Korea, which they could use to urge these two powers to focus on their common interests. Together, India and Australia could also encourage Tokyo to continue its defence ‘normalisation’ while helping it find ways to separate present policy from negative historical baggage. India and Australia would also be well placed to coordinate their middle power coalition with wider relationships, not only with China and the United States, but also extra-regional stakeholders such as the EU, France and Britain, which are looking for modest ways to contribute to stability in the Indo-Pacific. For Australia, such initiatives would fit well with Canberra’s efforts to deepen Asian security partnerships alongside the US alliance. They would reinforce the fact that Australia’s location and interests in the emerging Indo-Pacific system make it an indispensable partner for security cooperation in the region. Questions about whether Australia is a truly ‘Asian’ security actor are well out of date. Moreover, a prominent role for Australia in Indo-Pacific coalitions that did not include the United States would confirm that a US alliance is an advantage or at least a complement, and not an obstacle, to Australia’s independent foreign and security policy in the region. For India, building Indo-Pacific coalitions of middle powers could well become a critical element of a strategy to cope with the power shift in Asia and the uncertain evolution of US-China relations. This would help Delhi relieve the tension in its policy between seeking to balance a rising China while avoiding an entangling alliance with the United States. Building middle power coalitions, as a complement to engaging China and deepening strategic partnership with America, would enjoy domestic political support while creating the basis for expanding India’s role in Asian security. The recently elected Modi government has a major opportunity here. Its election manifesto did not speak of non-alignment; it called for the creation of a “web of allies” to further India’s interests. India’s strategic cooperation with the middle powers of Asia is likely to win greater domestic support than a strategy based mainly around partnership with the United States. It will also be less vulnerable to Chinese propaganda that regional security cooperation is nothing more than a part of Washington’s effort to contain Beijing. Such an approach will help Delhi break free of the tension between strategic balancing and the legacy of non-alignment. Even without a conscious articulation of strategy, most middle powers in Asia have begun to expand security cooperation among themselves. Confronted with the rise of China and its new assertiveness, and worried about the prospects of American relative decline and inconstancy of purpose, the middle powers are exploring avenues beyond traditional alliances, regional institutions or non-alignment. This quest is not a stark alternative to America’s alliances, continued engagement with China or efforts to support regional mechanisms. Instead, it is complementary, and increasingly important. The middle powers may not be ready for a single middle power coalition, but they are developing overlapping arrangements. Two powers, India and Australia, are now well placed to take the initiative and form the core of the emerging coalitions by building diplomatic and security cooperation between themselves and other partners including Japan, South Korea, the Philippines, Vietnam, Indonesia, Malaysia and Singapore. When they meet, the prime ministers of India and Australia will have an opportunity to influence their region’s strategic future. Yoon Young-Kwan, “Asia’s Military Revolution,” Project Syndicate, 3 July 2014; Richard Bitzinger and Barry Desker, “Why East Asian War is Unlikely”, Survival 50, no. 6 (2008): 105-128. Hugh White, “Why War in Asia Remains Thinkable,” Survival 50, no. 6 (2008): 85-104. This Analysis uses an Indo-Pacific definition of Asia, treating the Pacific and Indian oceans as a single strategic system, reflecting the increasing economic and security linkages between these regions and the expanding interests, reach and interactions of China and India. C. Raja Mohan, Samudra Manthan: Sino-Indian Rivalry in the Indo-Pacific, (Washington, D.C: Carnegie Endowment for International Peace, 2012), 18-19. Rory Medcalf, “The Indo-Pacific: What’s in a Name?” The American Interest 10, no. 2 (November-December 2013): 58-66. Patrick M. Cronin, Richard Fontaine, Zachary M. Hosford, Oriana Skylar Mastro, Ely Ratner and Alexander Sullivan, “The Emerging Asia Power Web: The Rise of Bilateral Intra-Asian Security Ties,” Center for a New American Security, June 2013. This builds on arguments previously made by C. Raja Mohan in “Indo-Pacific Balancing Act: In Search of a Middle Power Coalition,” speech at the Lowy Institute, 9 October 2013, http://www.lowyinstitute.org/publications/indo-pacific-balancing-act-sea..., and “A Moment for Asian Solidarity,” The Indian Express, 9 October 2013. “Modi Prepares to Fast Track NSG Issues,” The Hindu, 23 July 2014. Some of these criticisms are summarised in Kurt M. Campbell and Ely Ratner, “Far Eastern Promises: Why Washington Should Focus on Asia,” Foreign Affairs (May/June 2014). See also Michael Fullilove, “The Pivot has Run out of Puff,” US News and World Report, 13 December 2013. The Commander of US Pacific Command, Admiral Samuel Locklear, has openly said that budget uncertainties are hampering readiness and making it hard to plan or efficiently use resources. Statement of Admiral Samuel J. Locklear, Commander US Pacific Command, before the Senate Committee on Armed Services, 25 March 2014, 17. US Department of Defense, “Sustaining US Global Leadership: Priorities for 21st Century Defense,” January 2012. Geoff Dyer “US v China: Is This the New Cold War?” Financial Times, 20 February 2014; Barry Desker, “A New Cold War?” The Straits Times, 11 June 2014. David C. Kang, China Rising: Peace, Power, and Order in East Asia (New York: Columbia University Press, 2007); David Kang,“Why China’s Rise Will Be Peaceful: Hierarchy and Stability in the East Asian Region,” Perspectives on Politics 3, no. 3 (2005): 551-554; Ren Xiao, East Asian order and China’s role: a historical perspective, Journal of the Japan Association for Asian Studies 57, no. 1 (2011): 3-12; Sun Xuefeng, “Rethinking East Asian Regional Order and China’s Rise, Japanese Journal of Political Science 14, no. 1 (2013): 9-30; Yan Xuetong, “The Rise of China and its Power Status,” The Chinese Journal of International Politics 1, no. 1 (2006): 5-33; Zhang Yongjin and Barry Buzan, “The Tributary System as International Society in Theory and Practice,” The Chinese Journal of International Politics 5, no. 1 (2012): 3-36. This idea is explored in Malcolm Cook, Raoul Heinrichs, Rory Medcalf and Andrew Shearer, Power and Choice: Asian Security Futures, (Sydney: Lowy Institute for International Policy, 2010), Chapter 1. See also Michael Beckley, “China’s Century? Why America’s Edge Will Endure,” International Security 36, no. 3 (Winter 2011/12): 41–78. Hugh White, The China Choice: Why America Should Share Power, (Collingwood: Black Inc., 2013). Chronicled in Jeffrey A. Bader, Obama and China’s Rise: An Insider’s Account of America’s Asia Strategy, Brookings Press, 2009. Henry Kissinger, “The Future of US-Chinese Relations: Conflict is a Choice, Not a Necessity,” Foreign Affairs (March/April 2012). See for example, David Lampton, “A New Type of Major-Power Relationship: Seeking a Durable Foundation for U.S-China Ties”, Asia Policy No. 16 (July 2013). The idea of this four-power concert has been explored in Malcolm Cook et al, Power and Choice: Asian Security Futures, Chapter 3. It has been developed and advocated in Hugh White, The China Choice as a part of the idea of US-China accommodation. Stephen Walt, “Offshore Balancing: An Idea Whose Time has Come”, Foreign Policy (November 2011). Hugh White, The China Choice, 151. The term ‘powers in the middle’ was previously proposed by one of the authors in Rory Medcalf, “Powers in the Middle: Japan, India, Russia, Australia, South Korea,” IISS Strategic Dossier: Regional Security Assessment 2014: Key Developments in Asia-Pacific Security, ed. Tim Huxley, (London: The International Institute for Strategic Studies, 2014), 39. See for example Mark Beeson, “Can Australia Save the World? The Limits and Possibilities of Middle Power Diplomacy,” Australian Journal of International Affairs 65, no. 5 (2011): 563-77; Bruce Gilley, “Middle Powers during Great Power Transitions: China’s Rise and Future of Canada-U.S. Relations,” International Journal (Spring 2011); J. Cotton and J. Ravenhill, eds.,Middle Power Dreaming: Australia in World Affairs, 2006-2010 (New York: Oxford University Press 2012). Charalampos Efstathopoulos, “Reinterpreting India’s Rise through the Middle Power Prism”, Asian Journal of Political Science 19, no. 1 (2011): 74-95. Sukjoon Yoon, “Middle-power Cooperation between South Korea and India: Hedging the Dominance of the Great Powers,” PacNet No. 10 (2014), Pacific Forum CSIS; Yoshihide Soeya, “Prospects for Japan as a Middle Power,” East Asia Forum Quarterly (April-June 2013): 36-37; Santo Darmosumarto, “Indonesia and the Asia-Pacific: Opportunities and Challenges for Middle Power Diplomacy,” German Marshall Fund Policy Brief, July 2013; Andrew Carr, “Is Australia a Middle Power? A Systemic Impact Approach,” Australian Journal of International Affairs 68, no. 1 (2014): 70-84. Japan has the world’s third-largest national economy, technological excellence, internal cohesion and soft power and the world’s seventh-largest defence budget. Yet since 1945 it has demonstrated extraordinary restraint in harnessing its power for strategic ends. Moreover, it is in a state of long-term relative decline, despite recent policy shifts under Prime Minister Shinzo Abe, including partial normalisation of defence policy. Edward Lincoln, “Japan: Using Power Narrowly,” The Washington Quarterly 217, no. 1 (2003-04): 111-127. It has become common to describe India as an emerging great power. It has a small nuclear arsenal, the world’s second-largest population and has experienced some impressive phases of economic growth. Yet, in light of India’s internal and economic problems in recent years, characterising India as a fully grown great power would be premature. The sweeping election victory of Narendra Modi of the nationalist Bharatiya Janata Party (BJP) in May 2014, has opened the prospect of overcoming some of the political drift and structural problems in India’s rise. Nevertheless, questions about India’s international status will linger. See for example the thoughts of a former Indian Foreign Secretary, Shyam Saran, “Premature Power”, Business Standard, 17 March 2010, http://www.business-standard.com/article/opinion/shyam-saran-premature-p... accessed on 22 April 2014. For the traditional assessment of India as a middle power, see J. W. Mellor, ed., India: A Rising Middle Power (Boulder, CO: Westview Press, 1979); See also Stephen Cohen, India: Emerging Power (Washington DC: Brookings, 2001). Japan. Department of Foreign Affairs and Trade, “Japan Country Fact Sheet,” last updated June 2014, http://www.dfat.gov.au/geo/fs/japan.pdf; India. Department of Foreign Affairs and Trade, “India Country Fact Sheet,” last updated June 2014, http://www.dfat.gov.au/geo/fs/inia.pdf; Indonesia. Department of Foreign Affairs and Trade, “Indonesia Country Fact Sheet,” http://www.dfat.gov.au/geo/fs/indo.pdf; Australia. Department of Foreign Affairs and Trade, “Australia Country Fact Sheet,” http://www.dfat.gov.au/geo/fs/aust.pdf; China. Department of Foreign Affairs and Trade, “China Country Fact Sheet,” http://www.dfat.gov.au/geo/fs/chin.pdf; United States. Department of Foreign Affairs and Trade, “United States Country Fact Sheet,” http://www.dfat.gov.au/geo/fs/usa.pdf; Stockholm International Peace Research Institute, “SIPRI Military Expenditure Database,” last updated 2014, http://www.sipri.org/research/armaments/milex/milex_database/milex_database. See Patrick M. Cronin et al, “The Emerging Asia Power Web”. “Japan and Australia Consider Submarine Deal that Could Rattle China,” Reuters, 28 May 2014. Commonwealth of Australia. Defence White Paper 2013, 55-68. For a recent discussion of China-ASEAN relations see Ian Storey, Southeast Asia and the Rise of China: The Search for Security (Routledge, 2013). See speech by Xi Jinping, CICA, May 2014. See B. K. Hendrick, “India’s Strategic Defense Transformation,” Strategic Studies Institute, U.S. Army War College, Carlisle, PA, 2009. This partnership was formalised in the “India-Australia Joint Declaration on Security Cooperation,” 12 November 2009. For an overview of progress in Australia-India relations including an agenda for security cooperation broadly endorsed by experts and policy-makers in both countries, see the report from the 2012 Australia-India Roundtable dialogue, co-chaired by the authors of this Analysis. 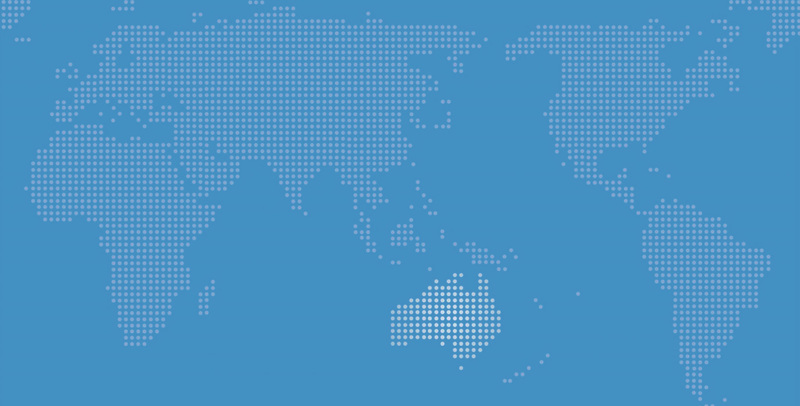 “4-5 December 2012 Australia-India Roundtable Report: Outcomes Statement and Summary Record of Proceedings,” Observer Research Foundation/Lowy Institute for International Policy. BJP manifesto 2014, 40, http://www.bjp.org/images/pdf_2014/full_manifesto_english_07.04.2014.pdf.